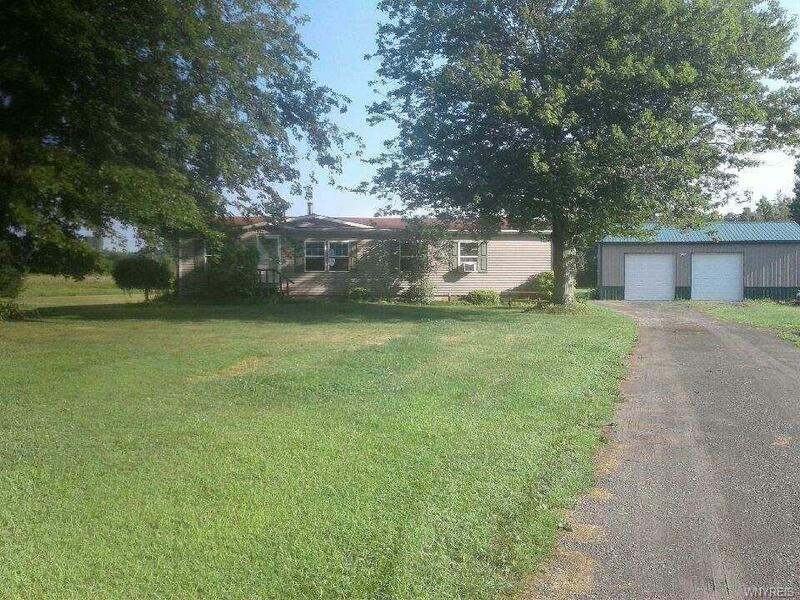 This 3 bedroom and 2 bath property is located on a quiet tranquil setting on 2 acres in Newfane. If offers 3 decks (12X12, 10X10, 6X6) and a large 40 X 30 insulated Pole barn with electric, storage and a center drain. Enjoy entertaining in the spacious open floor plan. Large eat-in kitchen has a breakfast bar, tons of cabinets, and a pantry. Master suite also has a bonus room off of it that can be used as an office or nursery. The house can either be heated by propane or the wood burning stove! All appliances included and the mechanicals are newer. Offers are due on Sunday, August 12th by 5 pm. Directions To Property: Brown Road To Dale Road.